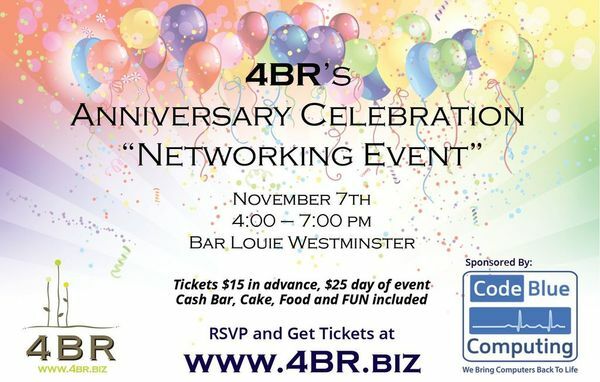 Please JOIN US for extraordinary Networking and FUN – Food and Anniversary Cake are included. Cash Bar and Door Prizes Galore. Tickets are $15 in advance or $25 day of the event. You can get your tickets here: http://4br.biz/event/4br-6th-anniversary-celebration/ See you there!! Sponsored by: Code Blue Computing, Inc. – We Bring Computers Back to Life!